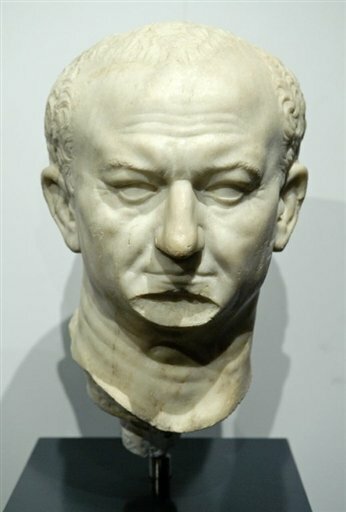 No “Vespasian Wuz Here” inscriptions have been found to confirm its ownership, but a magnificent 2000-year-old villa next to the insignificant village where Vespasian was born is most likely his. 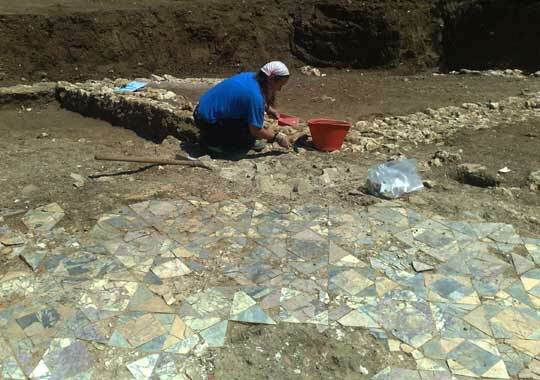 “We’ve found a monumental villa with elaborate floors made of marble brought from quarries in Greece and North Africa,” said Dr Helen Patterson, of the British School at Rome, the archaeological institute involved in the excavation. “There’s also a very extensive bath complex which is just beginning to emerge. 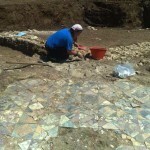 It’s the only large villa in the area, and the size and dating fits in perfectly with Vespasian. So was it the summer house in which Vespasian died, or was it his wealthy banker father’s house in which the future emperor was born? The Italian newspaper La Stampa says the former, Agence France-Press the latter. Suetonius mentions he had a summer villa outside Rieti (then Reate) and that that’s where he died. I’m rooting for the summer villa theory just because the stories about his death are so cool. That’s an awesome little dig at the Imperial cult that had started with the deification of Julius Caesar in 42 BC, 2 years after Caesar’s assassination. 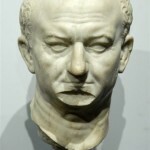 Even on his deathbed Vespasian was a joker.